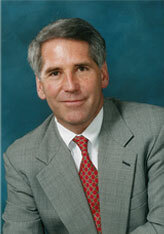 Carl Horn, III spent 22 productive years in the federal courthouse in Charlotte, first as Chief Assistant United States Attorney (1987-93) and later as a U.S. Magistrate Judge (1993-2009). Since retiring from public service, Mr. Horn has divided his time between mediation and arbitration, representing clients charged with white collar crimes, teaching Negotiations at the Charlotte School of Law, and writing. Special Achievement Awards for Sustained Superior Performance of Duty from U.S. Department of Justice in 1989, 1990, and 1991. Named "North Carolina Super Lawyer" in 2011 - 2018, to American Registry's "Top Attorneys in North Carolina" in 2012 - 2018, and to The Best Lawyers in America "in the practice of mediation" in 2018. Former Chair of Mecklenburg County Bar's "Law & Society Committee," member of the Board of Directors of "Legal Services of Southern Piedmont," and "Federal Court Liaison" for the North Carolina Bar Association's Dispute Resolution Section.